Inez Fardo is on her own in an uncertain and terrifying post-pandemic world. She survives by keeping her head low and selling her blood and tissue to scientists, since she is immune to the diseases decimating the population. When she is asked to assist a grief-stricken woman become a mother again, she agrees and treats it like any other job. But when the mother backs out at the last moment, Inez is left with a baby. Ani is a marvel of science and in danger from religious zealots who think she is an abomination and from scientists who will want to study her. But she is also a child and Inez must fight to keep Ani safe and care for her in a world where nothing is safe and no one can be trusted. 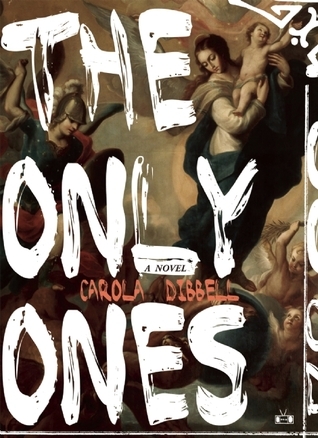 In The Only Ones, Carola Dibbell has carefully crafted a world where disease is everywhere and tomorrow is certainly not guaranteed. Inez does not have education, but she does have experience and that experience has taught her that she has to think fast and keep moving. That gets much more difficult when she finds herself with a baby. Since her daughter was created in a lab and not born through more traditional means, Ani needs to stay off the grid. That is difficult to do, though, when your child needs to go to school or see a doctor. The most striking thing to me with this story was how much was exactly the same, even as the world is ending around us. Inez is, for all intents and purposes, a single mother and she frets about how to make money or scavenge for food and supplies with a baby. When Ani is older, she has to face that heartbreaking parenting moment when you leave your child at school and they cry for you to come back. Inez listens to a daughter who understands only that they do not have the same things as her peers and not the sacrifices that she makes for their survival. Can Inez raise Ani to be better, to accomplish greater things than she did, even though they live in the same environment and share the same cells? The Only Ones is one of those wonderful stories where you are hard-pressed to quickly say what the book is about. It's about survival, or medical ethics, or motherhood, or all three. It's about the lengths we will go to for the safety and happiness of someone we love. Carola Dibbell has written a unique and powerful book that I am still thinking about long after I finished reading it. Not all post-apocalyptic novels are equal; this sounds like it might be one of the better ones. Would you read this author again? Definitely. She has a distinct style and it took me a little while to get into it but once that happened, I was hooked! This sounds interesting, especially as it deals with the aftermath and not the apocalypse itself. I already like Inez. She is decidedly a unique character!